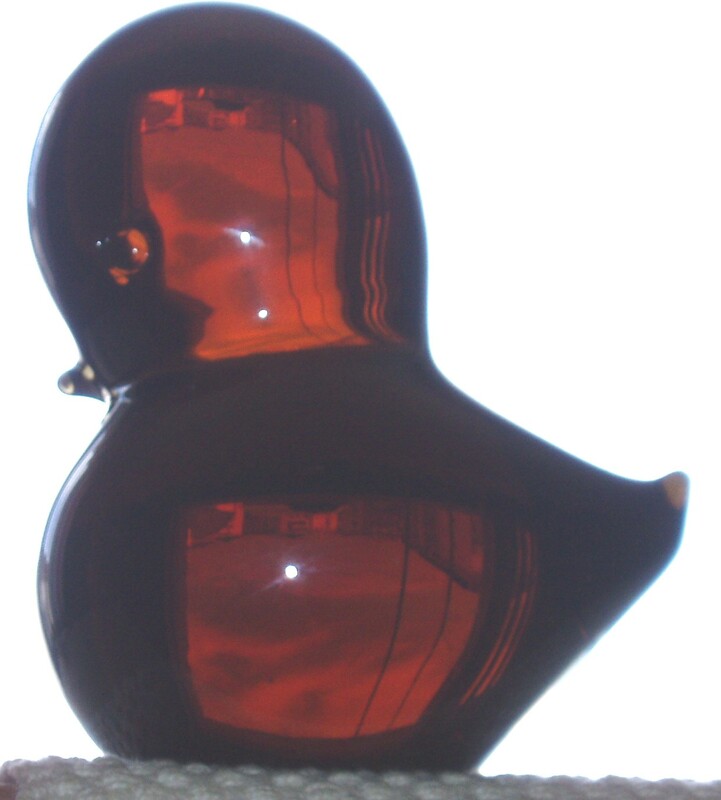 Amber crystal statue handmade "Baby Duck"
Dimensions: height 7.5 cm, length 6.5 cm x 5 cm. A piece of art (art glass) delicate body build, handmade colorful crystal "Sapphire" - superb color in natural light, representing a baby duck. 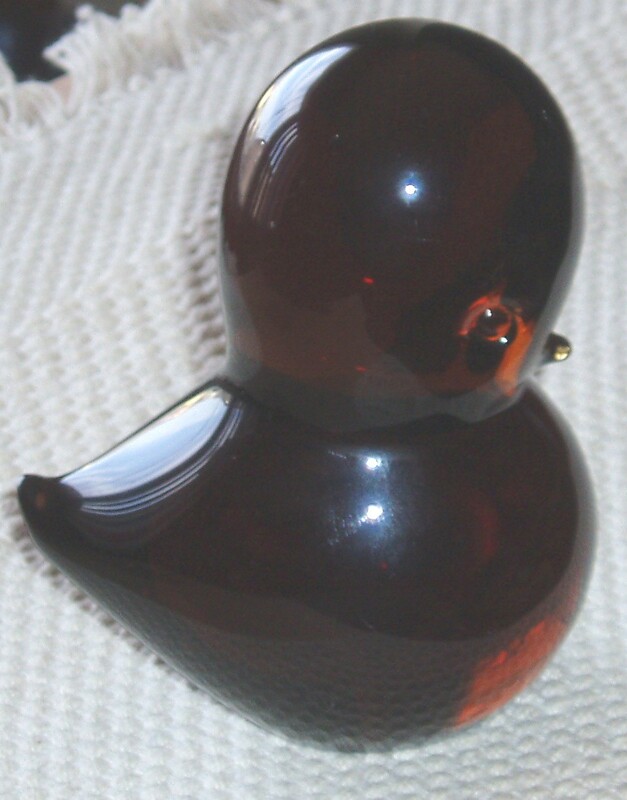 Proposed to sell his piece is authored by brothers Marcolin - Murano glassware artists who settled in Sweden, have set up in the '60s, "FM Konstglas of Ronneby" - closed in the 90s, with their withdrawal from activity. I will not insist on the description, I hope to see the photos!